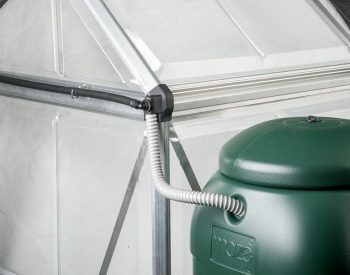 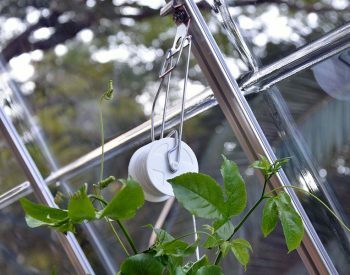 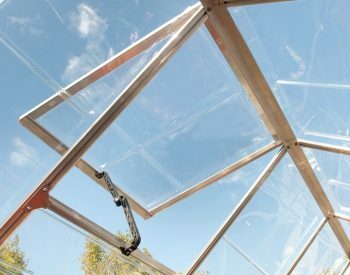 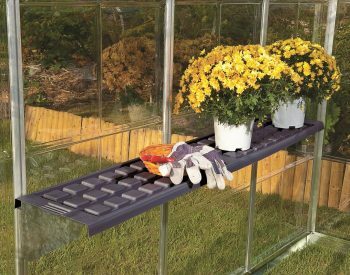 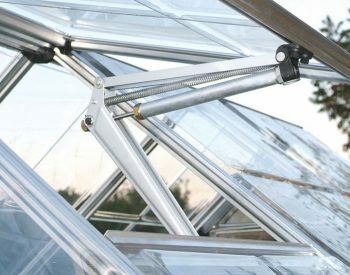 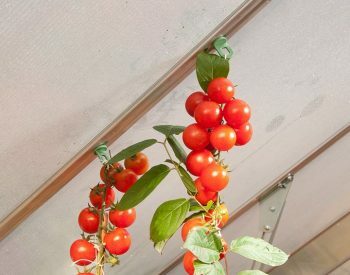 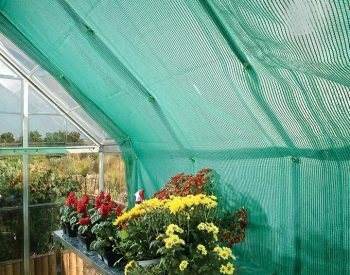 The HEAVY DUTY SHELF KIT is specifically designed for use with the SILVER LINE range of greenhouses, and can attached to almost all framing profiles, including the corners. 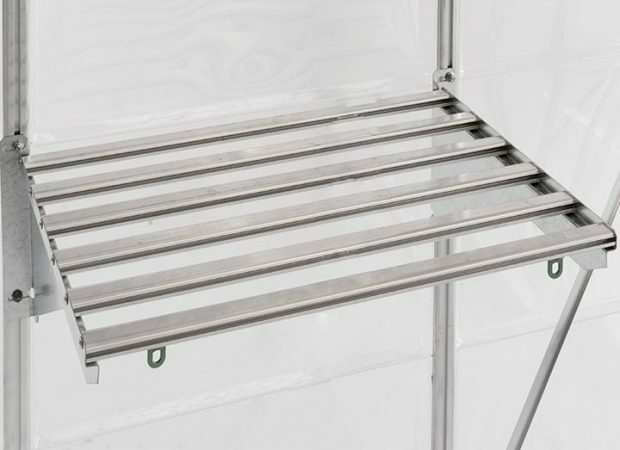 The wall mounted brackets can be re-positioned easily, and can be located next to each other for extended length shelves. 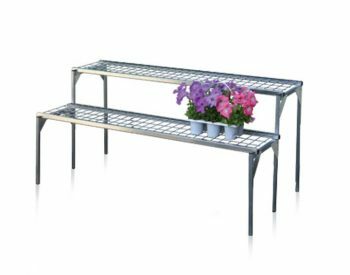 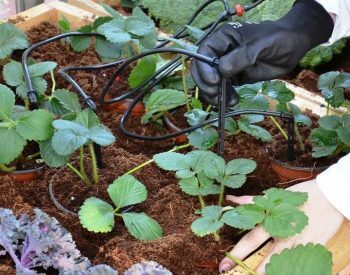 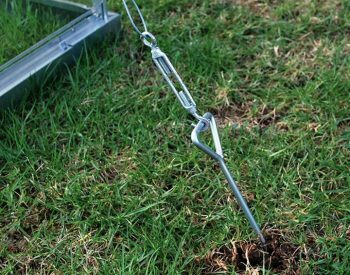 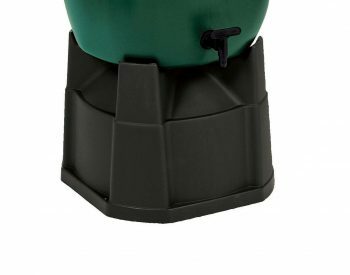 The deep shelf can take up to 40kg load spread evenly and is ideal for planting trays, large pots and soil bags. 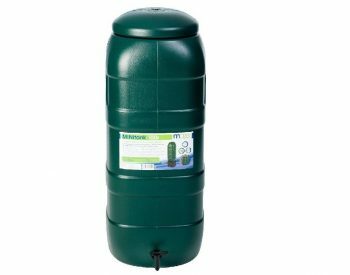 FREE DELIVERY – price includes delivery to your door anywhere in Australia!